After blocking the ailing legislator from being taken abroad for treatment on Thursday morning, the police under CID Director is now set to transfer him to Mulago hospital where they had earlier wanted to have him treated. The passport of his wife, Bridget Namirembe has also been confiscated. Earlier in the morning, police blocked Zaake from flying out of the country for medical treatment, informing his family and lawyers that the embattled Legislator needs clearance from Criminal Investigations and Intelligence Department (CIID). 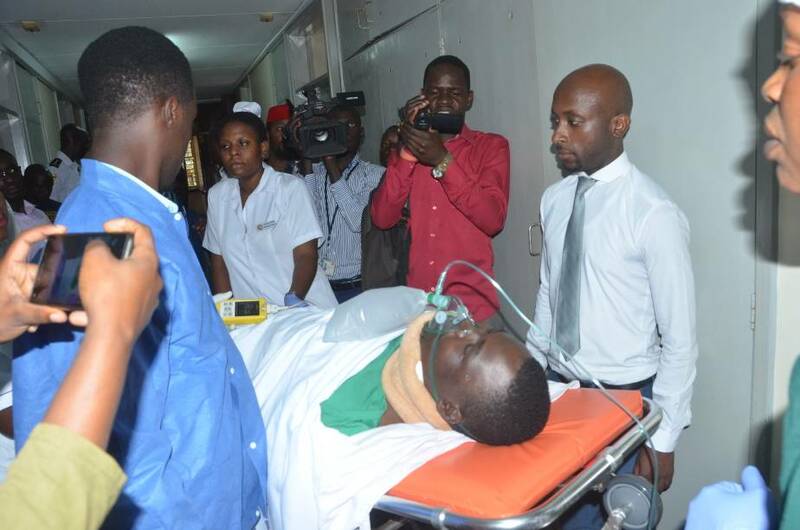 The legislator had left Lubaga hospital this morning, where he had been receiving treatment for various ailments after unknown people dumped him two weeks ago. His trip from Lubaga hospital had gone on smoothly until the team arrived at Entebbe International Airport and were stopped at VIP Lounge, with the Police officers at the premises telling Zaake’s lawyers and family that they had to seek authorization from CIID boss, Grace Akullo for him to fly out. 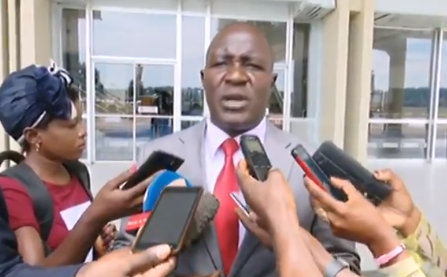 Zaake’s lawyer, Asuman Basalirwa told journalists at Entebbe that they had been informed by security officers that Zaake can’t fly out until there is security clearance from CIID. Following that communiqué, the Legislator’s Legal team attempted to get in touch with Akullo, with Basalirwa arguing that the CIID chief was responding to neither their calls nor messages. Basalirwa revealed that Zaake is scheduled to return on 30th September and cautioned that if Police really need Zaake, they will have to wait until his return and would be free to pick him from the airport and drive him straight to CIID Headquarters in Kibuli. “If security wants him, they can pick him up from the VIP lounge and take him wherever they want. But what we want to advice, if Government isn’t very careful they want, they can if Government isn’t careful, Zaake can easily die, I don’t know how they will try to handle the situation,” Basalirwa said.